Welcome to the New Era in Brush Cleansing with SIGMA !!! 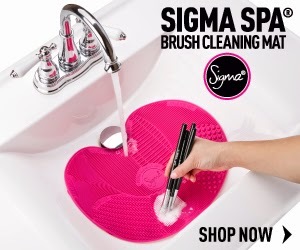 The Sigma Beauty Sigma Spa® Brush Cleaning Mat was designed as a hands-free brush cleaning device featuring 7 exclusive textures for both eyes and face brushes for overall cleaning control on a flat surface. The mat was created to fit all universal sinks and features exclusive suction cups on the backside for secure placement. 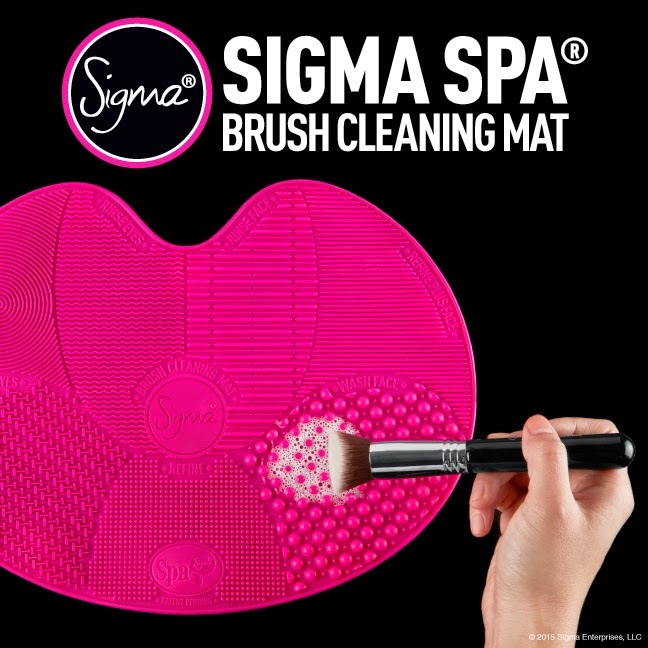 Sigma Spa® Brush Cleaning Mat is an innovative device featuring 7 patented textures to wash both eye and face brushes. The mat includes suction cups on the backside for secure placement on flat surfaces. Uniquely designed to fit most sinks. hmmm...It seems kind of interesting. I'm not sure if I would buy it though. I like this version more than the glove. It looks easier to use. I wasn 't crazy about the glove, but this mat is genius!!!! I defintely need to purchase this.